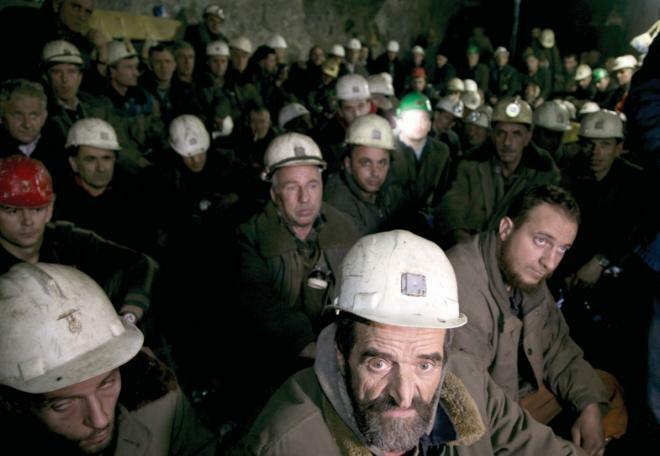 "The Kosova Albanian worker, working deep in the mines, does not allow the mineral resources to be plundered and the fields to go bad, his brothers impoverished, killed by bullets." The legitimate demands of the people of Kosova were always fought by the Yugoslav leadership with fire and sword. But today the world knows about the bloody massacres and tortures of the army and the police, commanded by the social-fascist Serbian state. "The solution of the local national question in Kosova can only be achieved by founding the free workers and peasants republic of Kosova, by the revolutionary overthrow of the fascist, imperialist regime of the Greater Serb bourgeoisie." Titoism is not the "socialist" ideology of the "unity of the Yugoslav peoples" as the social fascists claim to this day, but exactly the opposite, namely the ideology of the capitalist-revisionist division, decomposition and liquidation of the Yugoslav federation in general, and a racist ideology of extermination of "tenth-rate" Albanians in particular. The truth is that the striving for hegemony between the Croat-Slovenian and the Serbian social fascists took place on the back of the Albanian people in Yugoslavia. "Socialism" in words, and chauvinism and nationalism in deeds - that is the anti-communist ideology of Yugoslav social fascism, which has its roots in Titoism. Titoism has destroyed Yugoslavia. The Kosova Albanians, more than any other Yugoslav people, felt the socialfascist lash. The history of the Kosova Albanians is the history of the resistance struggle against Serbian exploitation and oppression, it is the history of the struggle against poverty and misery, the fight against political oppression and enslavement, the history of the national liberation struggle for the right of separation and self-determination. Why is the life of Kosova Albanians so miserable despite their large deposits of lead, chromium, nickel, magnesium, etc. This question has always been answered with Serbian bullets and capital of the imperialists. "Rich in opportunities and hopes - and yet the poorhouse of Europe" - this characteristic features have not changed in Kosova until today. In the socialist Albania of comrade Enver Hoxha, the miners lived in prosperity and there have never been economic migrants there. However, the hardships in Kosova were and are so great (no work, no chances of survival) that hundreds of thousands of Albanians were and are forced to leave their home in Kosova to survive. They are Serb nationalists and chauvinists who demagogically call 2 million Kosova Albanians "nationalists" and treat them like whipping boys. The truth is that no Albanian has ever oppressed or exploited any people, invaded and dismembered the territory of other nations. If the Kosova Albanians claim the right of self-determination of the nations, then this is not a "nationalism", but the Republic of Kosova corresponds to the international law on separation, which the Serbian social fascists have trampled on. 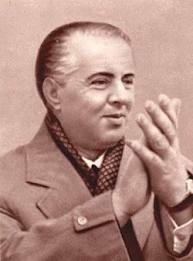 "Do not enrage the Albanian people, they are patiently, but if the Albanian gets angry, even the stones catch fire." This was also the case with the miners' strike in 1989. 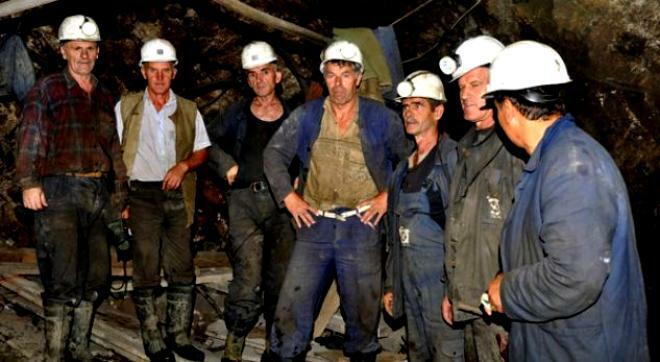 In Kosova even the ore in the mines of Trepce began to melt. The mainspring of history is the class struggle. Thus, the class struggle of the miners has not only influenced but determined the future of Kosova significantly. The miners are still revered as heroes of the national liberation struggle and celebrated today after 30 years. 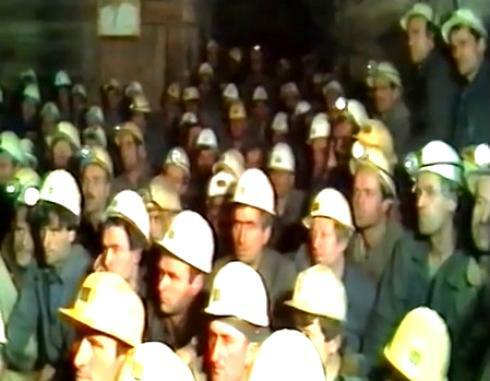 Already in November 1988, 2,000 Albanian miners protested for the maintenance of autonomy by marching with the support of another 6,000 citizens from the southern mines in the capital Pristina. 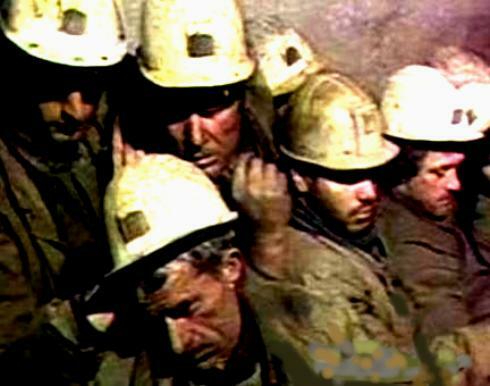 On February 21, 1989, Trepce's miners went on hunger strike to defend Kosova against the social-fascist assault of the regime of Slobodan Milosevic. 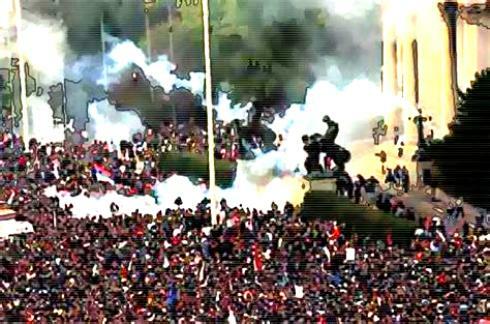 That was a political strike against social-fascist Serbia. 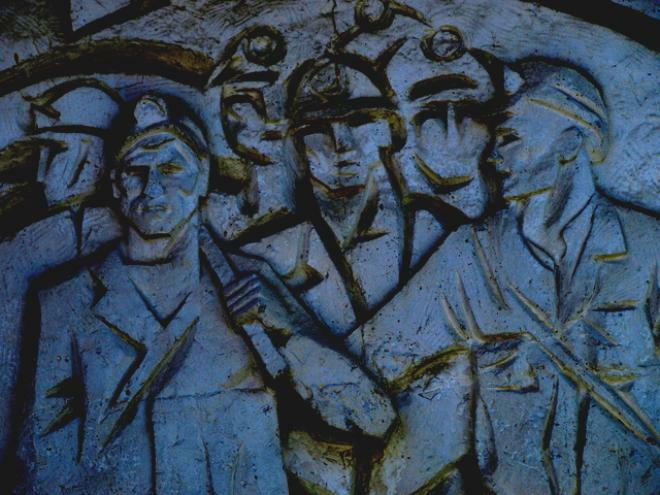 From 20 to 28 February 1989, it was the miners who opposed the constitutional changes with a general strike. They went on strike against the abolition of Kosova's autonomy. 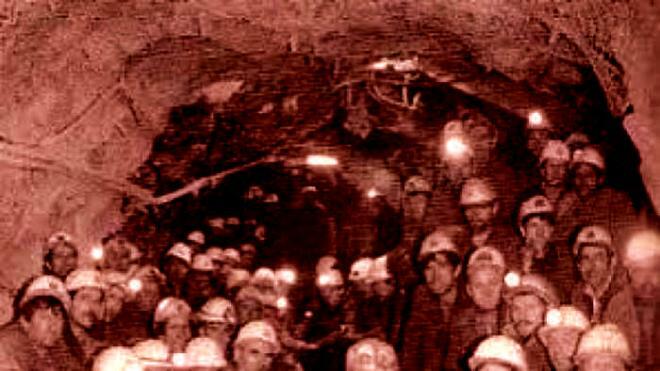 The strike lasted eight days and was called the longest underground strike. 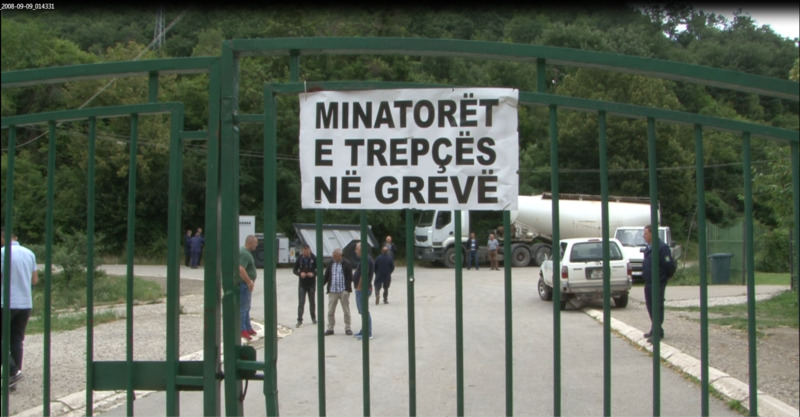 At the beginning of the protest, more than 1,300 miners had filled the extensive tunnel network in Stari Trg, the largest Trepce mine. However, hundreds were hospitalized during the strike. When the eighth day began, only 50 remained. Since the miners did not intend to end the strike, Milosevic used all available funds on 25 and 26 February to impose a state of emergency and set his special forces in the direction of Kosova a day later. 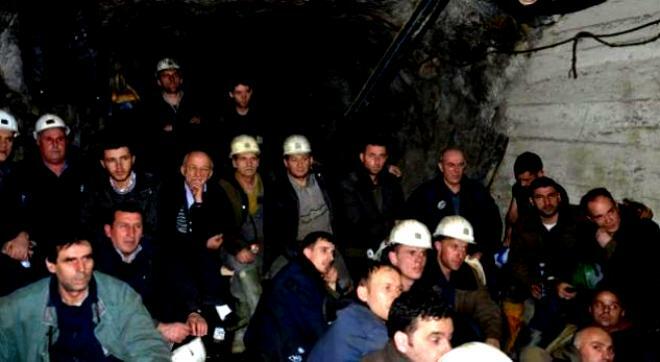 On February 28, St. Morina, H. Azemi and A. Shukria had resigned, which the miners had demanded. After fulfilling this requirement, the miners had left the mine, in which had entrenched themselves. The miners seemed to have won an unlikely victory. But when they showed up and breathed fresh air, they were all arrested. 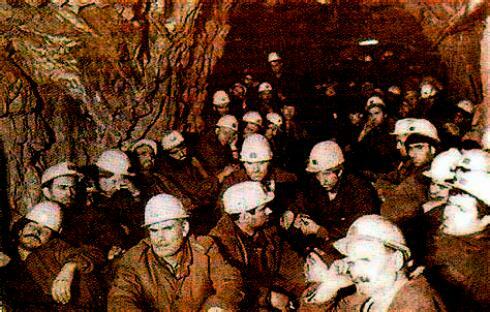 The remaining 50 miners had barricaded themselves underground at 850 m within the mine "Stari trg". At midnight, the Serbian Special Anti-Terrorist Unit had to climb down the fire escape ladder because the strikers had paralyzed the elevators. They began arresting the strikers. 1500 police officers under Serbian leadership invaded Kosova to complete their bloody work. 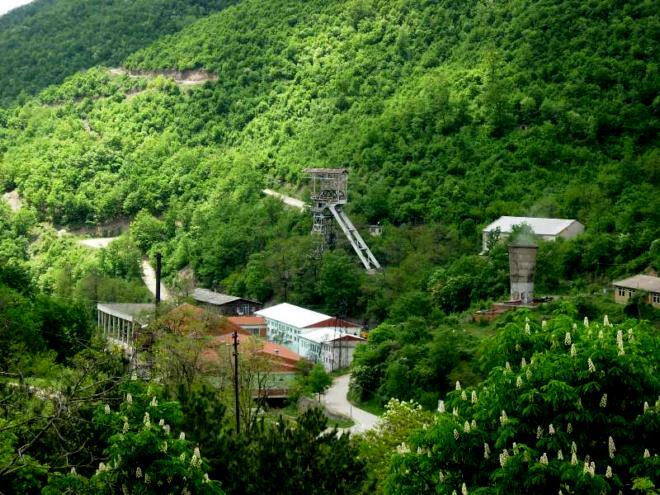 The Trepce Mine Complex is the most important wealth of the Kosova, consisting of 40 mines containing billions of tons of lead, iron, zinc, silver and gold, which once accounted for two-thirds of Kosova's total GDP. Since the 1930s miners produced 37 million tons of lead, zinc, gold, silver and other rare elements. Trepca and his mineral resources were the root cause of the conflict. The war in Kosova was about the mines, nothing else. While in Belgrade the Serbian victory over the Kosova, the "Day of Reunification" was celebrated, the streets of Kosova were full of blood from the firing squads of Serbian special forces. From 23 to 28 March, 22 Albanians were killed and about 300 others seriously injured. There followed protest demonstrations of the Kosova Albanians. All those who had solidarized with the miners and rejected the Serbian constitutional changes were deposed and the followers of Milosevic took over all positions of power in Kosova. The Marxist-Leninists in Kosova fought particularly against opportunistic betrayals and petty-bourgeois-intellectual influences and defended Enver Hoxha's proletarian position in the struggle for the national and social liberation of Kosova. The Marxist-Leninists continued their solidarity with the miners in the deepest illegality. Some were arrested by the police, others by the Yugoslav secret service murdered, again others unified with revisionist and reformist elements or became just nationalist All those who had solidarized with the miners and rejected the Serbian constitutional changes were deposed and the followers of Milosevic took over all positions of power in Kosova. The Marxist-Leninists in Kosova were particularly against the betrayals of opportunists and petty-bourgeois-intellectual influences and defended Enver Hoxha's proletarian position in the struggle for the national and social liberation of Kosova. The Marxist-Leninists continued their solidarity with the miners in the deepest illegality. Some were arrested by the police, others by the Yugoslav secret service murdered, others were united with revisionist and reformist forces or became nationalist separatists. This development became even clearer during the Kosova war and finally after the overthrow of the dictatorship of the proletariat in Albania. And all the more afterwards - until today. The goal of the national and social liberation of the working class in the Kosova can not be achieved by bourgeois and petty-bourgeois nationalism, not through class reconciliation with the bourgeoisie, but only in the struggle for the overthrow of the bourgeoisie and their lackeys within the working class, for example in the trade unions, etc . On the one hand, there is a demand for self-determination by Kosova, in which capitalism remains untouched. Today we see what has come out of this, a Kosova under the rule of bribed henchmen of the European and American imperialists. On the other hand, there is the demand for self-determination of Kosova as a lever for the revolutionary overcoming of capitalism. This is the socialist way under the dictatorship of the proletariat, which comrade Enver Hoxha once pointed out and what the Comintern (SH) continues to do today, especially by propagating the founding of the Kosova Section. The bourgeois and proletarian policies of selfdetermination are irreconcilable. Either the one or the other. The miners must not be fooled by the bourgeoisie in Kosova, they must not trust her sweet promises. 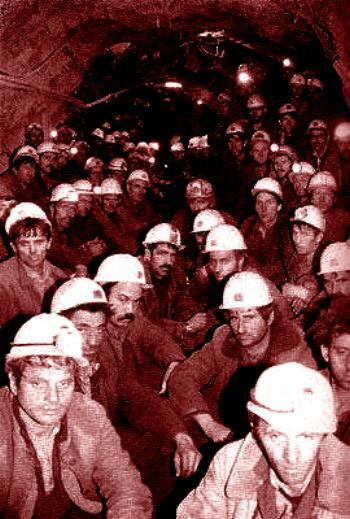 The miners, the working class, the revolution in Kosova were betrayed. The poor became poorer and the rich became richer. The working class lives in misery. Therefore, class struggle must go on, yesterday against the Serb socialfascists and today against the bourgeois lackeys of the Euro-American imperialists. The existing "self-determination" of Kosova is not worth the paper on which it was written. And that is the most important lesson of the miners' strike of 1989. There can be only one way for the miners, the way of socialism, whether in a reunited socialist Yugoslavia or in a reunited socialist Albania. The Albanian social fascist, extended arm of Milosevic in Kosova, Isa Mustafa, resigned under the pressure of the miners, while this Isa Mustafa, from 1991-1999, promoted to the Minister of Economy and Finance in the government of Bujar Bukoshi, who was also one of the founders of the "financing system "the Republic of Kosova was" and Chairman of the Supervisory Board of the "Dardania" Bank in Tirana. After the Kosovo War in 1999 and the separation of Kosova from Serbia in 2008, he became political advisor to the President and 2010 Chairman of the bourgeois LDK party - In 2017, he was Kosova's prime minister. With the closure of several mines and factories in the late 1980s and 1990s, the Trepča mining complex in Kosovo contains only seven lead and zinc mines, three concentrators, one metallurgical plant and one zinc factory. This is all that remains of the huge complex that employed 20,000 workers in the 1980s and made up 70% of Yugoslavia's mineral deposits. The mines still have a reserve of 60.5 million tonnes of ore with a lead content of 4.96%, 3.3% zinc and 74.4 g / t silver, representing three million tonnes of lead, two million tonnes of zinc and 4,500 tonnes Silver corresponds. Since 1927, the English imperialists exploited the mines. During the German occupation of Yugoslavia during the Second World War, the Stari Trg mine supplied 40 percent of the lead used in the Nazi war industry for the production of ammunition and submarine batteries. The mine has been gradually collapsing over the last fifteen years, for example due to outdated installations, neglect and lack of maintenance, repair and reinvestment; lack of control over production; Robbery of equipment and workshops etc. The so-called "nationalization" of the mines turned out to be a flop and was a scam to the miners. Despite his problems, Trepce offers one of the few significant development opportunities of the Kosova. The plant requires extensive modernization, but the mineral reserves are large enough to offset the start-up costs. Most importantly, a reactivated Trepce would create several thousand jobs and increase the Kosovo exchange rate. 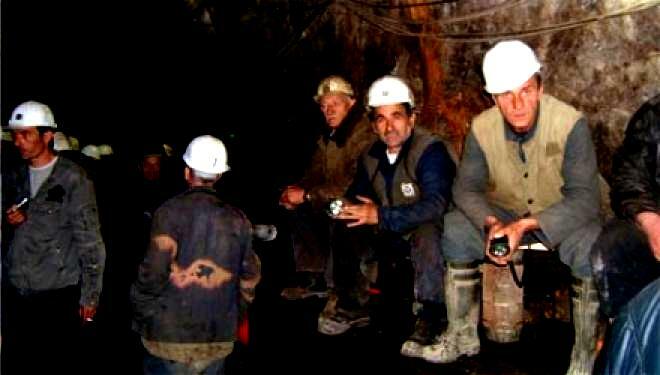 The life of the miners in Kosova is totally in contrast to the miners of former socialist Albania. 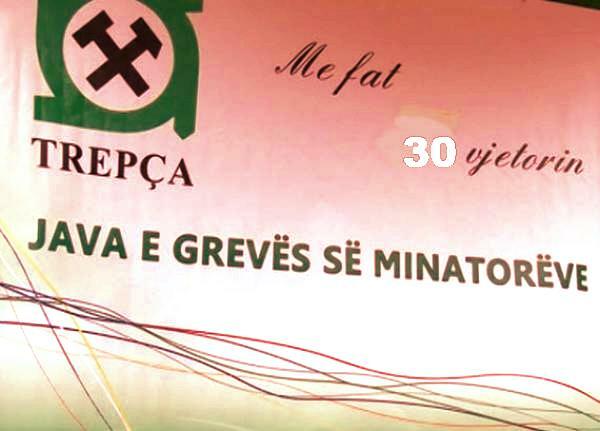 Miners in socialist Albania received their pension at age 50. In addition, they received an additional 36-day annual leave. "Every single salary must match the amount and quality of the work done, and the difference between the wages of the workers must be reduced more and more." The industry of Kosova must be built on the model of the PLA of comrade Enver Hoxha, on the economic basis of Stalinism-Hoxhaism. 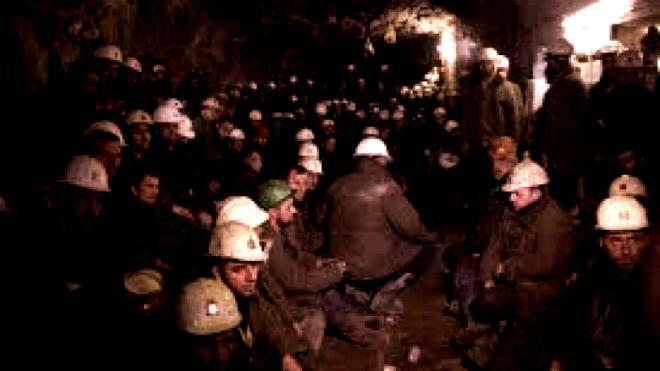 In order for the miners to be able to start the mine again, the entire working class and the poor peasants must solidarize with the miners and take over the political power in Kosova. A socialist revolution must forcefully overthrow the bourgeoisie and establish the dictatorship of the proletariat. For this purpose the working class needs a leading party. That is why we call for a Section of the Comintern (SH) to be founded in Kosova.